Ph.D. in English, Certificate in American Studies, Graduate Center, The City University of New York (CUNY), New York, NY. October 2006. M.A. in English, University of Virginia, Charlottesville, VA. May 1997. B.A. with Honors in English, Wesleyan University, Middletown, CT. May 1995. Co-Series Editor (with Lauren F. Klein), Debates in the Digital Humanities, University of Minnesota Press, 2015-present. Gold, Matthew K. and Klein, Lauren F., Eds. Debates in the Digital Humanities 2016. Minneapolis: University of Minnesota Press, 2016. Gold, Matthew K., Ed., Debates in the Digital Humanities. Minneapolis: University of Minnesota Press, 2012. This collection of essays presents perspectives on the debates that have surrounded the recent emergence of the digital humanities as an academic discipline. Among the issues addressed by over thirty prominent digital humanities scholars are the struggles to define the field; the relationship of DH to theory; the prospects for new forms of scholarship and new models of scholarly communication; the past, present, and future directions of DH; the status of pedagogy within the field; the range of possible cultural approaches to DH; the methodologies that define DH inquiry; and the institutional ramifications of DH. Selected for Choice’s Compilation of Significant University Press Titles for Undergraduates, 2012–2013. DH: A Short Guide to the Digital Humanities, Johns Hopkins University Press. Digital Pedagogy in the Humanities, Co-General Editor, with Rebecca Frost Davis, Katherine D. Harris, and Jentery Sayers. Modern Language Association. “Against Learning Management Systems.” Hacking the Academy, ed. Dan Cohen and Tom Scheinfeldt. Ann Arbor: University of Michigan Press, 2013. “Looking for Whitman: A Multi-Campus Experiment in Digital Pedagogy.” Digital Humanities Pedagogy: Practices, Principles, and Politics, ed. 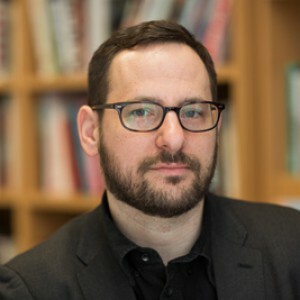 Brett D. Hirsch. Cambridge: Open Book Publishers, 2012. “The Digital Humanities Moment.” Debates in the Digital Humanities. Ed. Matthew K. Gold. Minneapolis: University of Minnesota Press, 2012. With Jim Groom, “Looking for Whitman: A Grand, Aggregated Experiment.” Debates in the Digital Humanities. Ed. Matthew K. Gold. Minneapolis: University of Minnesota Press, 2012. “Beyond Friending: BuddyPress and the Social, Networked, Open-Source Classroom.” Learning Through Digital Media: Experiments in Technology and Pedagogy. Ed. Trebor Scholz. New York: Institute for Distributed Creativity, 2011. With George Otte, “The CUNY Academic Commons: Fostering Faculty Use of the Social Web.” Online Social Networking as a Site for Learning. Spec. issue of On the Horizon. 19.1 (2011). “Becoming Book-Like: Bob Stein and The Future of the Book.” Kairos: A Journal of Rhetoric, Technology, and Pedagogy. 15.2 (Spring 2011). “Breaking All the Rules: and the Aesthetics of Online Space.” From A to : Keywords of Markup. Eds. Bradley Dilger and Jeff Rice. Minneapolis: University of Minnesota Press, 2010. “The Expert Hand and the Obedient Heart: T.S. Eliot, Dr. Vittoz, and the Therapeutic Possibilities of The Waste Land.” The Journal of Modern Literature, vol. XXIII, no. 3-4 (Summer 2000): 519-534. Manifold Scholarship. 2015-present. Collaborators: Doug Armato, Susan Doerr, Jason Weidemann, Daniel Ochsner – University of Minnesota Press; Zach Davis, Cast Iron Coding. Debates in the Digital Humanities, 2013-present. Collaborators: Lauren F. Klein, University of Minnesota Press, Cast Iron Coding. Commons In A Box, 2011-present. Collaborators: Boone Gorges, CUNY Academic Commons Team. The CUNY Academic Commons, 2008-present. Collaborators: CUNY Academic Commons Team. CUNY Graduate Center Digital Initiatives, 2011-present. GC Digital Fellows Program, 2012-present. GC Digital Scholarship Lab, 2012-present. The Social Paper, 2014-present. Collaborators: Erin Glass, Jennifer Stoops. DH Box, 2014-present. Collaborators: Stephen Zweibel, Patrick Smyth. CUNY Digital Humanities Initiative, 2010-present.